The Irish Great War Society are honoured that this website has been archived by the National Library of Ireland as being of significant national and historic importance. The Chairman, management committee and members are extremely proud of this honour, which has strengthened our resolve to remember those Irish men and women the gave so much in the Great War. Welcome to the Home Page of The Irish Great War Society and we sincerely hope you will find our website interesting and a valuable source of information. Our website is constantly being updated and developed as we strive to make it a 'one-stop-shop' for those interested in the contribution made by Irish men and women during the Great War. The Irish Great War Society is a living history group dedicated to education and remembrance. In general terms, we provide two basic types of display; the static display, where our members display an extensive collection of artefacts, relics and memorabilia from the Great War era. This also includes an advanced dressing station. Our second type of display is the field display, where through the realistic re-enactment of First World War scenarios we portray the Irish men and women that served in Irish Regiments of the British Army in 1914/1918, and also in other corps and voluntary units. We strive to bring realism into our field displays by wearing and using authentic uniforms and equipment, also by accurately performing the drills and exercises carried out by service personnel during that period. Displays apart, one of our most important functions is to provide a guard of honour on formal occasions. Services provided by the I.G.W.S. Members of the Irish Great War Society visit schools, libraries, colleges and universities to provide demonstrations involving, kit, equipment and the uniforms of the era. We also take part in public and community cultural and historic events. Carry out ceremonial drill and provide Guard of Honour for State and formal occasions. Provide advice and extras for film, stage and media work including historical drama. Carry out realistic and factual demonstrations including; Gas drills, trench raids, dawn advance, shot at dawn, an advanced dressing station and a field hospital. The Irish Great War Society is against all forms of descrimination. 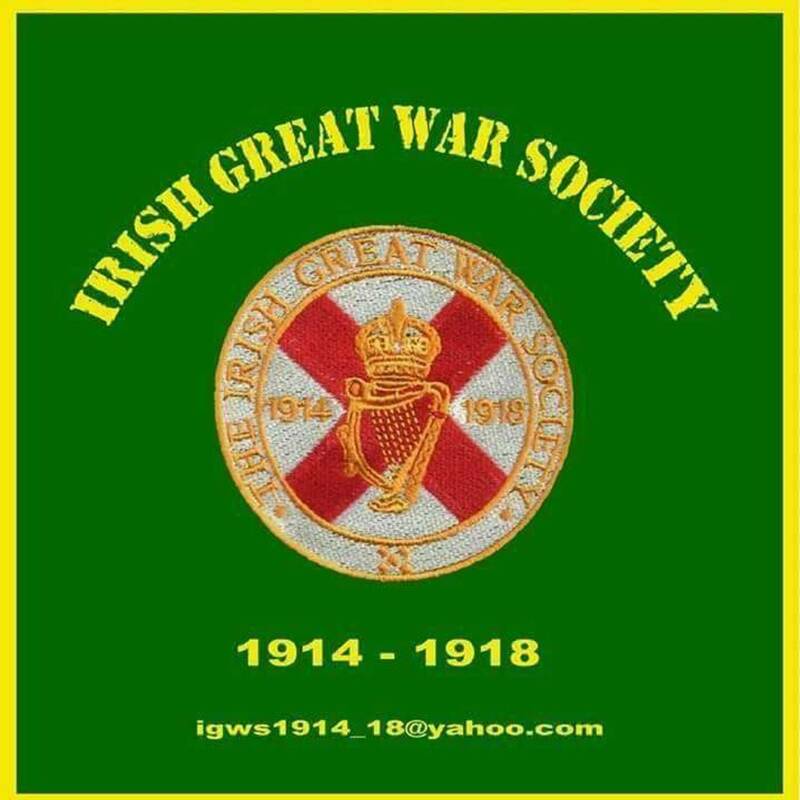 We are a non-descriminatory, non-sectarian, non-religious and non-political organisation that is only interested in remembering, respecting and honouring all Irish men and women that served with great sacrifice during the First World War.For insurance reasons IGWS membership is strictly by subscription only and all members carry a dated membership card. Applications for membership are welcome but acceptance is at the discretion of the management committee. Please see 'Recruitment' for further information.